Please note that there is now a supplement to this article including reaction to the response by Jack Monroe. Comments are now closed here but may be made on the new article. You don’t need me to tell you that everyone on benefits is a money-grasping sponger. Or that every asylum seeker is parachuted directly into the warm atrium of a North London mansion, and not into the hell of hells that is our disgusting excuse for an asylum system. Benefit claimants steal all our money, and we, the good ordinary people, are sick of it. We’re sick of scrounging, sick of stealing and sick of the arrogance of buying trainers and takeaways with our hard-earned tax. We know to be sick of them because the Daily Mail tells us to be. David Cameron tells us to be. And David Cameron, with his beautiful home, ‘staycation’ and Oxbridge education is just like us – or just like the “us” that we want to be. There is something more insidious than simply bad journalism or party politics at work here. This is nowhere clearer than in the rise to fame of Jack Monroe, whose cause célèbre is catering for herself and her young son on £10 a week. Yet Jack Monroe is only an acceptable benefits claimant because she reminds the middle classes of themselves. She is a young, conventionally attractive woman whose recipes include things like carrot, cumin and kidney bean burgers and apricot curry. Not a takeaway pizza or can of lager in sight, her version of poverty is the cosy frugality of a Beatrix Potter book. Not the inarticulate grasping of the feral underclass who squeeze in a trip to sign on when they’re not copulating or drinking White Ace. Monroe was judged lightly because she uses her money to buy things that the middle classes buy. Swapping her chips for chickpeas shows her to be aspirational, and thus worthy of our respect. We read it as a symbol of her desire to claw her way out of the soup of inequity that is “Benefits Britain” and become middle class. The lifestyle enjoyed by the middle classes, scented by Jo Malone and lit by starlight, has become not only desirable, but honourable. To not live the upper middle-class aesthetic ideal is to live a life worthy of that class’s contempt. Taste becomes a moral quality, and the way in which you spend your money reflects your morality. It is this equation of taste with morality that leads us to be so warm and forgiving to those who evade or avoid tax. At least they’re not using their money to buy crisps and massive televisions, and if they are they’re buying Kettle Chips, and the television for BBC4 and not Loose Women. One estimate puts tax evasion at £70bn a year – 70 times that of benefit fraud. We’re not angry about this because if we were to make a fuss we would be making an aesthetic judgement as well. We would be standing against the extensive cellars, second homes and other material trappings that we are meant to aspire to. We’d be siding with the scroungers rather than those who we’re meant to look up to. We’d be committing the great sin of a crime against aesthetics. 64 per cent of families claim some sort of benefits, meaning that “Benefit Britain” is not a feral underclass at all, but the country that the majority of us live in. Yet there are many who would rather we did not acknowledge this reality – for it is to expose the warm reassurance that “we are all middle class now” as a lie. The imperative of aspiration is engrained in us to the extent that any complaint against those harbingers of taste, the country’s elite, becomes an act of deliberate self-exclusion and sabotage. Middle-class aspirations are enforced on the country at every level and the idea of being “working class and bloody proud of it” has been made laughable. Those who were once the salt of the earth are now the scum of it, as Owen Jones demonstrated so forcefully in Chavs. Anyone who would seek to defend them gets headed off with gruesome tales of their aesthetic failings in the press. They’re not like us, they’re the other, they’re chavs and they spend their money on tracksuits and tattoos. Why would you want to align yourself with them when you could have Kate Middleton’s hair and a Barbour jacket? Those who avoid tax are not our enemies – because we’re meant to want to be like them. This aspiration keeps us lean and hungry, and most of all, occupied. We believe that we can be like those just slightly above us in the social scale, that “tomorrow we will run faster, stretch out our arms farther” and fall headlong into that social set. But the reality is that grasping red-faced proles exist only in Cameron’s fevered cheese dreams, or else in our own mirrors. The majority of us have far more in common with those on benefits than those who seek to cut them. NOTE: in light of the many responses to this article, the editors wish to clarify that references to the portrayal of Jack Monroe are criticisms of media narratives on the ‘deserving’ and ‘undeserving’ poor. In no way are these criticisms of Jack Monroe, or any of her admirable efforts and actions. Posted in: Benefits, Culture, Food & Drink, Media, Poverty/Low Pay, Social Affairs, Taxation. I am working class and proud of it, I don’t aspire to be middle-class or think tax-evaders are in any way understandable. i don’t judge what people spend their benefits on, I am glad to contribute to a welfare state (what is left of it) and I feel ashamed that my generation is standing by as it is ripped apart by the greedy, callous and vicious people in charge. There is much to be ashamed of in this country at the moment and many people who history will judge but is jack Monroe one of them? I don’t think so. What she has done tick so many boxes in the list of working class values I was brought up with and the values with which I am bringing up my own children. She puts her child first, she is proud to be independent and humiliated by having to ask for help, she is tough and she has compassion for others. Train your snipers on someone else; she is not to blame for the cultural vilification of the working class. Learn to kick upwards. Ms Munroe is making the point about how easy it is to end up in poverty and HER reality of coping with it in very articulate fashion. I am personally glad that she does so. When did you last hand out a food parcel to a homeless 16 year old care leaver, tell an 18 year old with mental health problems that the counselling service keeping them from possible suicide is closing due to cuts or support a 19 yr old with severe learning difficulties and autism who is losing their family home due to the bedroom tax? This stuff happens in my office every day. This government is happy to throw the poor to the wolves and, whether she is a typical victim of food poverty or not, Jack is a valuable voice. Big mistake this article. A bit like believing that “the left is inextricably linked to the Labour Party”. I don’t think so after the last 15 + years. The left is linking to inspirational campaigning groups & individuals (38 Degrees & Jack Monroe to name 2). The author of Beatrix Potter was a self sufficient woman in a time when that was rare and hard to come by. Therefor your insults could be regarded as something else. Think about it. Really Jilly – do you have any idea what it’s like to be in this situation? I am a tatoo’ed individual who holds down a steady job and in a long term relationship. However the government has pulled one over on me! I pay my taxes and work really hard. But a few years ago my job was pulled from under me – contract ended just like that. Lost my job and lost my flat, I was homeless! All because a council – part of our government couldn’t tell me what was happening (I had previously had the contract extended). I have a never claimed benefits. I have put in to claim but never been granted – why because I bent over backwards to try and keep a roof over our head. I tried to get Council Tax and Housing Benefits and was refused. Also the good doctors of the NHS say my fiancée has a long term illness and has struggled to find suitable work – no-one including temp agencies wants to employ him. Yet some non-medically trained government professional….mentions in her report that he is clean shaven and dressed in clean clothes. They didn’t care we where living out a room in my fiancée’s sisters flat. They didn’t care he’d fallen down a flight of stairs or could barely walk up and down the hall in the flat without leaning on the wall! They didn’t ask him how often he shaved or if he’d managed to dress himself…..Good ol’ DLA! Explain to me why you have a go at those of us who have bad luck or suffer misfortune. If you had been in the same situation as myself or Jack then you would actually understand what it’s like to have so little left at the end of the month that you can’t afford to heat your studio flat in one of the coldest winters on record, that your so called wages barely make ends meet (and I’m a teacher!). We survived on between £30 and £10 a week for MONTHS! To give you an idea I could barely afford to eat lunch every day at school and come home to something hot and filling. I sold possessions to make sure I could get public transport to work. The flat we lived in was horrid as well and as it was a private leasing agent – so when I lost my job and couldn’t pay the rent they refused to renew the lease. I could not get a council flat, I was not entitled to benefits because I could and did look for work to try to make ends meet (which none of the work I took did). I am childless and due to my other half’s health will have to look for accommodation suitable for his long term needs – not something easy to do in one of Scotland’s most expensive rental cities. I can categorically tell you the system you want to cut and kill off supports people like my fiancée – who may never be able to find a normal job because illness prevents them working. That the system my taxes got towards that currently don’t support him because of bureaucracy! If you’re going to belittle people than you should expect the backlash from people like me – who have a university degree, who’ve worked hard providing education for other people kids and all the system has done is kick us when we’re down. You tell me what it’s like to be unemployed after holding down a job since I was old enough to do a Saturday Job! Do you know what it’s like to watch your fiancée’s health deteriorate whilst the government tell’s him he’s fit enough to work but can barely write his own name? I have been there and can say the system doesn’t work but I can also say I have seen it work to, maybe not for me but PIP and Blue Badge are hopefully just round the corner for my other half. By the way his consultant for his Multiple Sclerosis sent a letter regarding his deterioration walking ability to us to aid him getting what he is entitled too. Get with it – we all just want to have a roof over our head without being told to move on, we all want healthy food regardless of our budget. Yes we want ‘nice’ things like TV’s and mobile phone but I cut every one of these items – they became luxuries then they simply became unaffordable, because the government turned it’s back on people like me! Don’t attack people you do not understand! So Jack Monroe was supposed to do what? Feed her child on horse burgers and oven fried chips and spend the remains of her benefits on lager? You have lost me here. So Monroe is articulate and conventionally attractive – hmmm so only inarticulate and unconventionally attractive women should write on these issues? Blah! What can one say yes you right, sadly on the other hand whom do you think we should vote for to change things. That’s the real problem your right in all you say then you look at the Tories and you look at Miliband’s lot and you have the problem, they are both basically the same. It was not the Tories who came out with the words workshy, lazy, work-less, scroungers it was a so called socialist party and it was labour that brought in workfare. Miliband sadly for him except for a year few years in a council house the poor tyke became an upper middle class nob, and now he has to tell us about his parents hard time, because he has no idea of it himself. So I ask being disabled myself who did win the ATOS ESA medical, but only after a battle, whom do I vote for. Tory or the Tory Lite. They are the only choice for those of us who want – and NEED – to get Cameron out. “They’re all the same” is known Tory propaganda – it’s the best they can come up with. But look at Labour’s record on, say, employment rights, equality, fair pay, and then look at the Tories intentions to drive us back to the 19th century, and stop parrotting that pathetic lazy phrase. Tory and Tory light are already in coalition. You are guilty of the same stereotyping of the working class as the Tories. A Marxist definition of class wouldn’t include what people ate. Never mind that cans of kidney beans and chick peas are cheaper than pizza. Probably the reason Jack Monroe uses those ingredients is because that’s what she can afford. I’m currently living on pasta and rice. I can’t afford pizza or lager. But presumably that’s what I should aspire to in order to prove my working class credentials? I suppose I shouldn’t like to visit free art galleries or buy the £12 tickets at the National Theatre or watch the Proms on BBC3? Too middle class? You don’t understand what class is. So what’s it like when the people you’ve championed attack you because they don’t understand what you’ve written? I do not understand why Jack Monroe being “attractive” is essential to her being poor. And feeding your three year old son kidney bean burgers seems far better than buying lager for yourself. I truly do not understand how this makes Jack Monroe “not poor enough” for you to criticize her online. Would you rather have Jack feed her three year old son lager or not feed her kid at all? I totally agree with what you say about the comparison between tax evasion and claiming benefits. It continues because people prefer to judge and look down their noses at others. It exists because it’s not highlighted enough. Propaganda and images form opinions and sadly opinions matter a lot. opinions about who is worthy and who is to blame a able inequality to exist. I was curious and somewhat concerned when I heard that someone was claiming to have survived below the line because it may have resulted in benefits being reduced or fingers pointed at those who could not do the same. I am glad that Jack Monroe is an attractive young woman from a two parent middle class background, I’m glad that she is articulate and I’m glad she is white and she and her parents were born in the uk, why ? Because as you have noted it does make her more acceptable and blameless, because it does show this could happen to anyone of us, she could be anyones child, that’s what we need to bring about change. I don’t particularly like that fact or agree with it, but it’s how it is. She has a voice and is using it to benefit those whose voice may not be heard. I am sick to death of stereotypes, I’m tired of seeing poverty and vulgarity portrayed as if they were one and the same. I’m sick to death with the attitude and belief held by everyone who hasn’t been there that everyone on benefits has a wide screen and wears designer sportswear but has never participated in a sport. 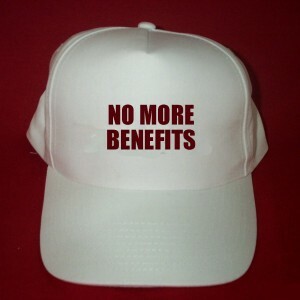 I’m fed up with the rubbish about being better off on benefits than in work. Try telling that to those in fear of redundancy, try selling that to the unions, your members are not to worry about loosing their jobs they are really being promoted to entitlement to benefits. Great lets celebrate, I don’t think so. Poor is poor, hungry is hungry, desperate is desperate, cold is cold it doesnt matter who or what you are, how you look or which class you came from, though the latter can enable you in some ways and can so either open or close doors, that discrimination occurs across all classes. Try explaining that you have a degree from Oxford, are on first name terms with some affluent influential people but need to depend on your single parent minimum wage earning working class mother to house feed and clothe you. Jack Monroe is portraying the stark reality of life as it is today she is a survivor and as such is telling how it was, how it is but most importantly how it came to be and people from all walks of life are listening. That’s the crucial thing people are listening and I would prefer it if less were judging. She isn’t saying it was easy or that her change of circumstances indicate that everyone else can do or have the same. She is telling it like it is from experience not here say not from a text book and she is saying it was hell it shouldn’t be like this Nobody deserves this and is actively campaigning for change. I wish her well and I hope she doesn’t get judged by her background or appearence. That didn’t feed house or clothe her that didn’t keep her warm. But her voice, her story and yes maybe her respectability/ acceptability could mean that others may suffer less. Don’t judge, listen, prejudice can blinker people from all walks of life and all political persuasions. I suggest that you make a public apology and clarification both on this site, your Twitter account, and Jack Monroe’s blog. The fact that the “target”of your post has been missed and is re-directed at Ms Monroe shows a lack of fore-thought and journalistic integrity. I guess you have got what you wished for–some cheap controversy. It’s cheap and shallow to make capital out of another’s misery. You appear to be pillorying Jack Monroe for being intelligent and having an intelligent response to her poverty. What would you have done? Oh dear. I was amazed at the bad press this article got. I totally got what you were saying but perhaps you were just too subtle for a lot of readers. Try to read this again people, understanding that this is NOT an attack on the working class or on Jack Monroe and maybe then you’ll understand what the author was saying. poor with a cut glass accent = genteel poverty. The author is talking about the perception of the middle classes not what is actually true. I lived in America for 16 years. I am white, english, blonde with blue eyes. When people complained about too much immigration and I pointed out that I was an immigrant, their immediate response was, “oh but you’re different” I didn’t fit their perception of an immigrant. That is what this article is about. I think some people have really missed the point here. Possibly reading the article might help? I can’t see the writer criticising benefits claimants here at all, yet there are so many people who are or have been on benefits who have looked upon this article as a personal attack. Get a grip. It’s a real shame that so many people have misinterpreted this article – it made an important point and one that (I hate to admit) rings true for me. I hope you’re not disheartened by the response, Jilly. Keep on writing – you’ve produced some good articles. And I hope that you did manage to contact Jack and explain…! I’m glad to see the disclaimer now posted below this article. Perhaps, in future, when using real people with real problems, difficulties, traumas and experiences, it could be made a lot clearer because you can see how very easy it is to offend, distress and anger. Dare I say, Jack is doing more good, having more positive impact, touching more people (whether in need or keenly interested) just because she is who she is – intelligent, articulate, a cutting edge personality. She has inspired people to look beyond their own front door, she has inspired people to get involved with social issues such a food banks in an immediately positive fashion, Many respect her for that, many admire her for fighting back, I know I do. To see her name, life and work so used in an article like this creates justified anger that actually detracts from what the auther may have been trying to get over. Stereotyping should have had no place in it. I’m sad that so many people seem to have misread and misunderstood this article. The writer is not attacking anyone except the media and government and their attitudes. It is saying that a distorting mirror is being held up to the reality of our society and class divide, and we need to smash it to see the truth. If you don’t get this, re-read it. If you only read the first few lines and commented in haste, take a breath then try reading the whole thing with an open mind. One more comment, sorry – I would hope that an apology will be extended from the author to Ms Monroe with a coherent explanation. Posting it on here would be good too. The people are not daft I’ve not been called to much by the Tories , but under Labour I was work shy, I was a scrounger, and was everything going because I was disabled. Gordon brown came along and tried his best to get rid of DLA he stated it was a wasted benefit, it was Tory and a few Labour MP’s that stopped him doing it, he then pointed out pensioners should not get it or people in care homes or the young, the attack on the disabled and the sick by Labour was never ending. Then when Miliband took over his first conference he had another attack on the sick the disabled, he told us a story I do not believe for a minute about him knocking on a disabled persons door and knowing he could work by looking at him, something we are told never to do because he could have a hidden disability which can be HIV AIDs or cancer or many things. Worse he then spoke about the disabled person to the next door neigbour he was booed by the Conference yet he did not stop. I’ve never seen a labour party like this one, then what did Miliband come out to counter the Tories attack on the sick, if you vote me back in I will hammer the disabled and welfare. Sorry Keith mate Labour is not the answer for anyone. Why hang a real person out to dry in order to make your point? Why appeal to another cliche in order to attack cliches you dislike? Journalism by appearance does not count as informed comment. Next time, think – research even – before writing. This article fails to notice that it has fallen into the most subversive trap of all – in claiming that if working class people aspire to eating well, living comfortably, having a good education and a good job they are aspiring to be “middle class” this is not the case – it is just aspiring to self-actualisation (http://en.wikipedia.org/wiki/Maslow's_hierarchy_of_needs). As the verse of All Things Bright and Beautiful that people don’t sing any more states “the rich man in his castle, the poor man at his gate, God made them high and lowly and ordered their estate.” The inference of this verse was that it was sinful to try to change your “God-given” station in life… it appears things haven’t moved on much, to judge by this article’s tone. It doesn’t make someone a class traitor to buy chickpeas instead of chips or to try to use creativity to manage on a limited income – I don’t know if you’ve noticed, but the poor of a large portion of the world are rather fond of pulses because they are cheap and nutritious. Anyway, as someone from a single parent family with family members on benefits, I should probably go back to eating my chips and watching my very large TV. Oh dear Jilly, what a furore! If you had at least skim read Jack’s blog you would have seen that there is nothing at all cosy about Jack’s life. Nor is there anything cosy about poverty. I am living the frugal dream, eking out my £1.00 a day food allowance by foraging and eating ‘wild foods’ aka weeds. I have no job and no benefits because I was canny enough to save for my old age, which is not too far away, and will not now be cushioned by my ever-dwindling nest egg. I rarely go out because I can’t afford the bus fare. I stay in bed late and go to bed early in the winter so that I don’t have to put the heating on. I wash in cold water because I can’t afford to heat it. The new clothes I have, the towels I needed to replace, the seeds to try and grow some food, are all courtesy of freecycle. I challenge YOU to live Jack’s life or my life for a month or so and then see how Beatrix Potter you feel. I am serious about the challenge my dear – I am old enough to be your grandmother and feel seriously patronised by you – it’s very uncomfortable. You and the those who run your website should apologise to Jack, wholeheartedly and unreservedly, and then you should apologise to all the other people you have offended, including me. If you are willing to rise to the challenge of living off the amount of money a person on benefits would receive, or on the amount I have available to me, you would retract that word ‘cosy’ in an instant. You would see that chips and lager are off the menu and you would show that you understand the mistake you have made and regret the offence you have caused. Maybe someone should go through this post, line by line and explain it to these people who are posting negatively. I’m not sure if people are just willfully misinterpreting it, reading it with a big chip on their shoulder or are just too blinkered to see what the author is saying. Much as the humour is lost when you have to explain a joke, having to explain satire is a waste of time. This is why we won’t defeat the Tories. The left is too busy tearing itself apart! This article has confused people and if the author was attacking middle class perceptions of poverty and using Jack Monroe as her exemplar then it is a weak article which hasn’t done a very good job.Why not use a person who didn’t find a way to exploit the education she had to circumnavigate the benefit system by cooking on a minuscule budget? The author’s attempt to hijack Jack’s popularity to make a rather weak comparison backfired and really set people against you. PS – the Tories will be defeated and with or without the Left. Lesley finds it funny. Many others find it offensive. I found the comment about ‘line by line’ offensive too although I am open to listening to reasons why Lesley might have thought it was funny and why she thought that everyone else should see her particular interpretation. The fact is that I read very carefully through the article before commenting and without finding much to smile about. It sounds as if many, many others did too judging by comments in here and elsewhere. Humour may have been intended, I can’t tell, but, if so, it failed to a very considerable degree. Perhaps the author could re-write the article, making her underlying meaning a little clearer. And after that, perhaps she could consider that apology. I understand humour, I ‘get’ irony, I am educated to post graduate level and so I can read and understand dense and difficult text. I agree with the main thrust of Jilly’s argument. What I don’t agree with is the way she makes that argument. Lazy writing not underpinned by proper research. I am offended by the phrase ” her version of poverty is the cosy frugality of a Beatrix Potter book”. This is a nonsense. What exactly IS “the cosy frugality of a Beatrix Potter book”? I am offended because poverty is not cosy it is bloody, grindingly, devastatingly, horribly, dehumanising hard work. I’ve outlined some aspects of my poverty in an earlier comment. Social isolation being one of them. Struggling to eat healthily on £1 a day is another. The list of daily struggles is long and tedious and I am sick to the back teeth of struggling. So yes, I am offended by my struggle being described as ‘cosy’. Jack is NOT an “acceptable benefits claimant”, she has had lots of flack and negative comments. I know this, why doesn’t Jilly? Because she has not done her research properly. Jack’s blog is NOT solely about feeding her family on £10 a week, it is about the grinding day-to-day struggle to survive. I know this, why doesn’t Jilly? Jack’s blog is full of political comment, campaigning, the things she is doing to try and make a change, to bring the effects of poverty to the attention of others, her efforts in raising a substantial amount of money for charity. I know this, why doesn’t Jilly? Jack is actually DOING something practical to change her life and those of others and this is why recipes feature heavily in her blog at the moment – because people are asking her to publish them. Jack is putting time and effort into helping people deal more effectively with their situation and it is appreciated. I re-issue my challenge to you Jilly. Try it, and see if you are still able to describe poverty as cosy.